That goofy Mattress Ranch guy. 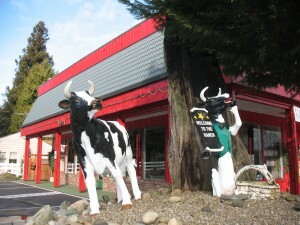 You never know what you’ll see at his store on Highway 16 in Gorst. 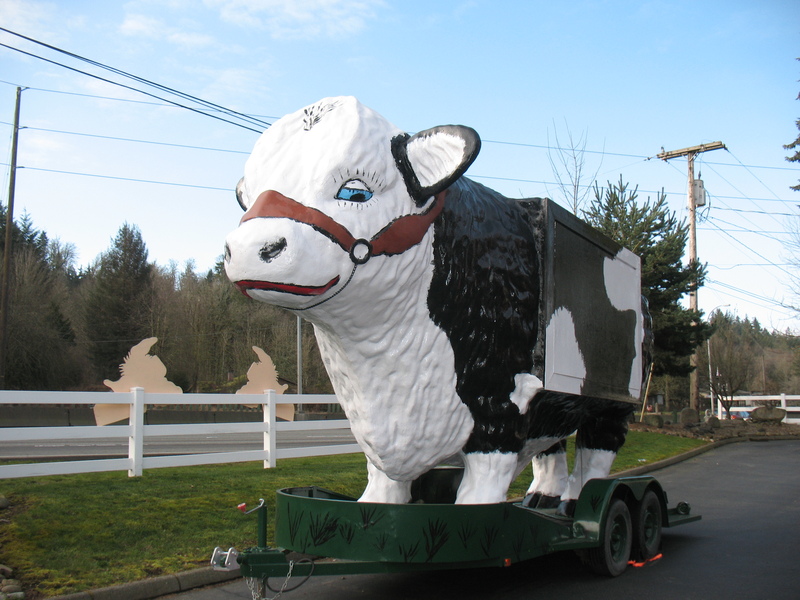 For several weeks, I’ve been driving by, wondering about the large cow with boxy looking sides. As it turns out it’s a bull, although the apparatus that would have made that obvious is lacking. 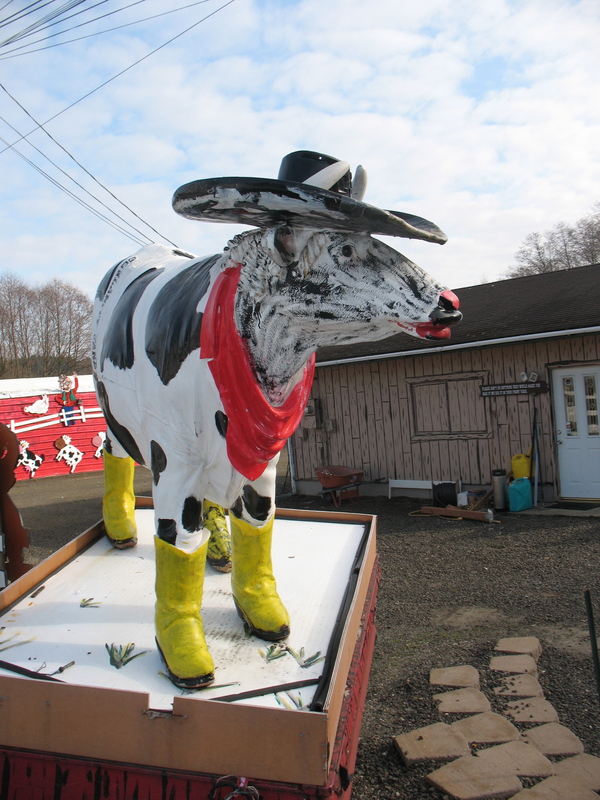 Billy the Bull hails from Texas, where he served as a bigger-than-life advertisement for a steakhouse. Ted Sadtler, Mattress Ranch owner, found him on his travels through the Southwest and had to have him, said his daughter-in-law Yvonne Sadtler. Sadtler towed him him all the way home. He has plans to enter him in local parades. Billy’s boxy look is left over from the steakhouse signs, since removed. He looks like several grown men could climb inside and hide, like the Trojan Horse. With a secret weapon like that Port Orchard allied with Gorst might actually be able to conquer Bremerton. Here are some of Billy’s buddies.